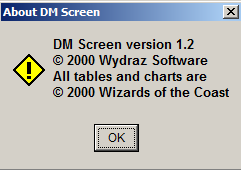 Dungeon Master Screen (DM Screen for short) has a friendly interface in support of the D&D D20 system. Essentially, this program is a literal Virtual DM Screen, with buttons that make finding a specific chart easy and intuitive. The charts are copies of those taken from the DM/Players books, and they cover a wide gambit of information. As a bonus, included is a set of random buttons which include the following info: Room/Corridor/Trap/Door/NPC/Name and even a Custom generator. 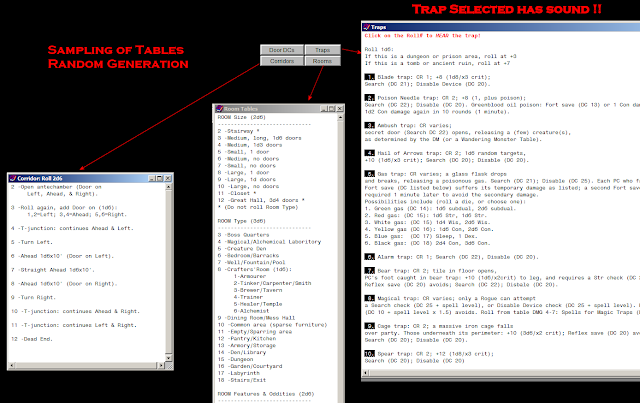 With this a DM is able to choose from a wide range of text files - which are editable to customize to his/her own campaign. 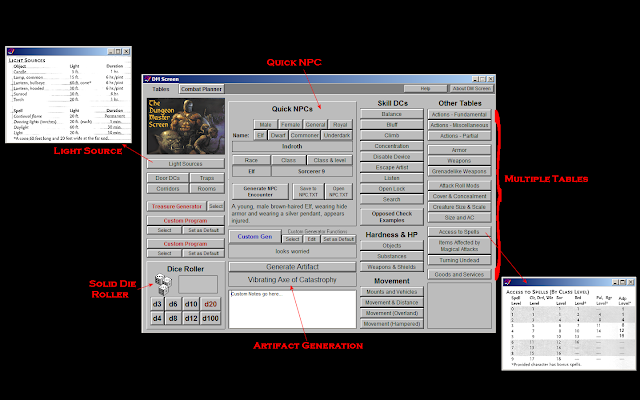 Included as well are 2 custom buttons - so you can have Dm Screen set to start up a favorite executable Tool/program on the fly. 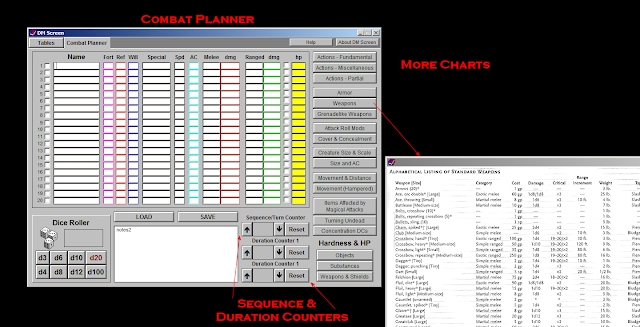 The second tab has a combat planner, a solid addition to the package, with sequence and Duration Counters for easy tracking of battles, and more buttons with charts specific to combat and the like. Overall, even though this program is D20 based, I lean towards it as being how my Project X tool should look - with an expanded Tab section for Campaign info and all of these buttons with quick access to all of my charts. Highly recommended!